Newly-formed Bay Area death metal trio, Ulthar – with its members deeply woven into the Bay Area death scene through the ranks of Vastum, Extremity, Void Omnia, and other acts – presents the bizarre scourge of their debut LP, Cosmovore. As the album oozes towards release in November through 20 Buck Spin, the cover artwork, track listing, and the first advance single in the form of the album’s title track have been issued. 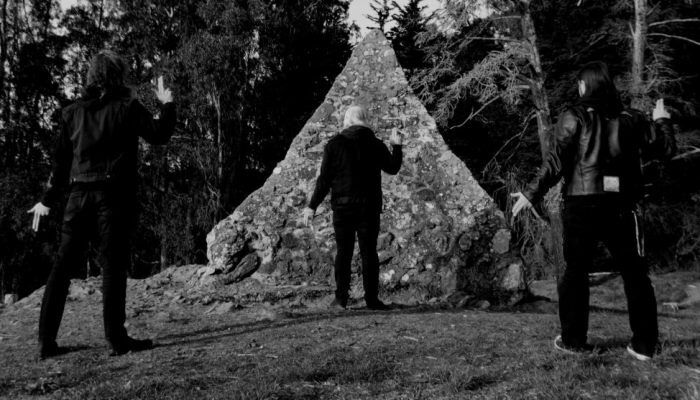 Ulthar creates something uniquely arcane within the Bay Area metal underground. 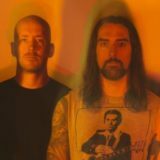 The trio — Shelby Lermo (Vastum, Extremity), Justin Ennis (Void Omnia, Ruine, ex-Mutilation Rites, ex-Tombs), and Steve Peacock (Mastery, Pandiscordian Necrogenesis) — comes together on their debut full-length Cosmovore to unleash a feral urgency for dizzying Absu-like black metal with a death metal band’s bludgeoning violence. Thematically heavy on weird, supernatural horror and a bizarre Rudimentary Peni surrealism, Ulthar is a difficult to classify spectral entity within the sphere of black metal. 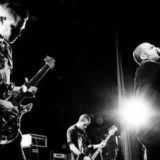 Yet another stellar debut album released under the 20 Buck Spin banner, Ulthar’s Cosmovore stands as the monstrous opening salvo of a band only beginning to wage war. Cosmovore was engineered, recorded, and mixed by Greg Wilkinson at Earhammer Studios in Oakland, California and mastered by Justin Weis at Trackworx. 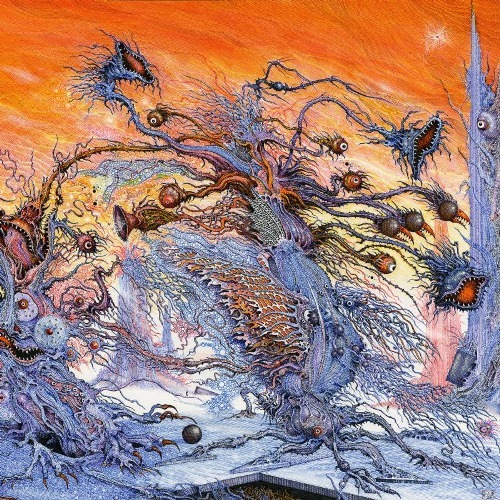 The cover artwork was handled by famed UK illustrator Ian Miller, known for his work with the Warhammer games, Lovecraft books, Ralph Bakshi films, and more. Fans of Absu, Immortal, early Atrocity, early Pestilence, Demilich, Morbid Angel, and Gorguts, and labelmates Tomb Mold should tune in to Ulthar’s deft execution. 20 Buck Spin will release Cosmovore on LP, CD, and all digital platforms on November 9th. Watch for additional previews, pre-orders, and more to be issued over the weeks ahead. Tour plans are coming together for the fall and winter months, so watch for updates shortly.